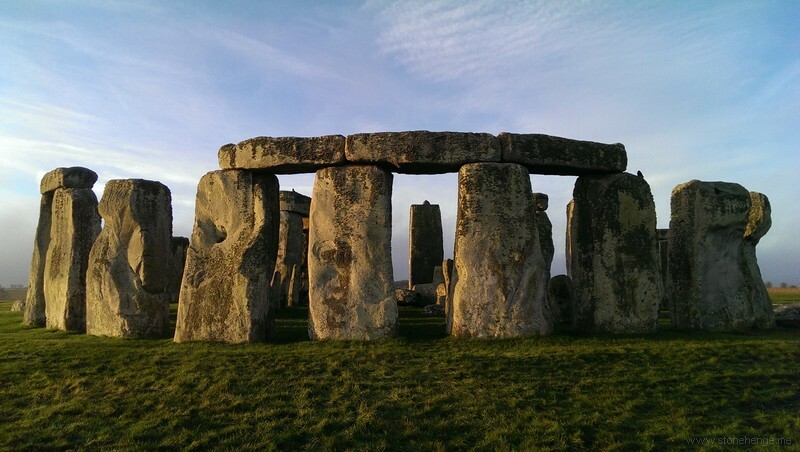 Cat’s Brain long barrow is near the more famous Stonehenge (pictured) but predates it by hundreds of years. This summer, the University of Reading Archaeology Field School excavated one of the most extraordinary sites we have ever had the pleasure of investigating. The site is an Early Neolithic long barrow known as “Cat’s Brain” and is likely to date to around 3,800BC. It lies in the heart of the lush Vale of Pewsey in Wiltshire, UK, halfway between the iconic monuments of Stonehenge and Avebury. It has long been assumed that Neolithic long barrows are funerary monuments; often described as “houses of the dead” due to their similarity in shape to long houses. But the limited evidence for human remains from many of these monuments calls this interpretation into question, and suggests that there is still much to be learnt about them. In fact, by referring to them as long barrows we may well be missing the main point. To illustrate this, our excavations at Cat’s Brain failed to find any human remains, and instead of a tomb they revealed a timber hall, suggesting that it was very much a “house for the living”. This provides an interesting opportunity to rethink these famous monuments. The timber hall at Cat’s Brain was surprisingly large, measuring almost 20 metres long and ten metres wide at the front. It was built using posts and beamslots, and some of these timbers were colossal with deep cut foundation trenches, so that it’s general appearance is of a robust building with space for considerable numbers of people. The beamslots along the front of the building are substantially deeper than the others, suggesting that its frontage may have been impressively large, monumental in fact, and a break halfway along this line indicates the entrance way. Timber halls such as these are an aspect of the earliest stages of the Neolithic period in Britain, and there seems little doubt that they were created by early pioneer Neolithic people. Frequently, they appear to have lasted only two or three generations before being deliberately destroyed or abandoned. These houses need not be dwellings, however, and given their size could have acted as large communal gathering places. It is worth briefly pausing here and thinking of the image of a house – for the word “house” is often used as a metaphor for a wider social group (think of the House of York or Windsor, or – if you’re a Game of Thrones fan like me – House Lannister or House Tyrell). In this sense, these large timber halls could symbolise a collective identity, and their construction a mechanism through which the pioneering community first established that identity. We may imagine a variety of functions for this building, too, none of which are mutually exclusive: ceremonial houses or dwellings for the ancestors, for example, or storehouses for sacred heirlooms. From this perspective, it is not a huge leap of the imagination to see them as containing, among other things, human remains. This does not make them funerary monuments, any more than churches represent funerary monuments to our community. They were not set apart and divided from buildings for the living, but represented a combination of the two – houses of the living in a world saturated with, and inseparable from, the ancestors. These houses would have been replete with symbolism and meaning, and charged with spiritual energy; even the process of building them is likely to have taken on profound significance. In this light, then, it is interesting to note that towards the end of our excavations this summer, just as we were winding up, we uncovered two decorated chalk blocks that had been deposited into a posthole during the construction of the timber hall. The decoration on these blocks comprises deliberately created depressions and incised lines, which have wider parallels at other early Neolithic sites, such as the flint mines of Sussex. Controversy often surrounds decorated chalk pieces; chalk is soft and easily marked and some people suggest that they are “decorated” with nothing more than the scratchings of badgers. But there is no doubt that the Cat’s Brain marks are human workmanship and the discovery should spark a fresh investigation into decorated chalk plaques more widely. For the moment, the original purpose of the carvings remains obscure, but clearly they were of significance. They will have had meaning and potency to the people that created them, and by depositing them in a posthole the building itself may have been imbued with that power, as well as marking it with individual or community identity. The discovery adds to the way we understand these monuments and weight to the argument that these buildings represent more than just “houses of the dead”. Over time, deep ditches were dug either side of the timber hall at Cat’s Brain and the quarried chalk may have been piled over the crumbling building after it had gone out of use, closing it down and transforming the house from a wooden structure into a permanent earthen monument; the shape and symbolism of which will have been known to all who saw it. With this transformation, the identity of this early Neolithic group was finally and permanently inscribed upon the landscape. Now, with this investigation, we have been granted a glimpse of the lives and beliefs of our ancestors nearly 6,000 years ago. The excavations at Cat’s Brain, including the decorated chalk blocks, will feature on Digging for Britain, to be screened on BBC4, at 9pm on Wednesday November 22. An explanation of the word "Sarsen"